What's the Favorite Halloween Candy this Year? Every year, there seems to be a new favorite Halloween Candy; and with the holiday just a week away, its important to know what treats the kids are wanting most! 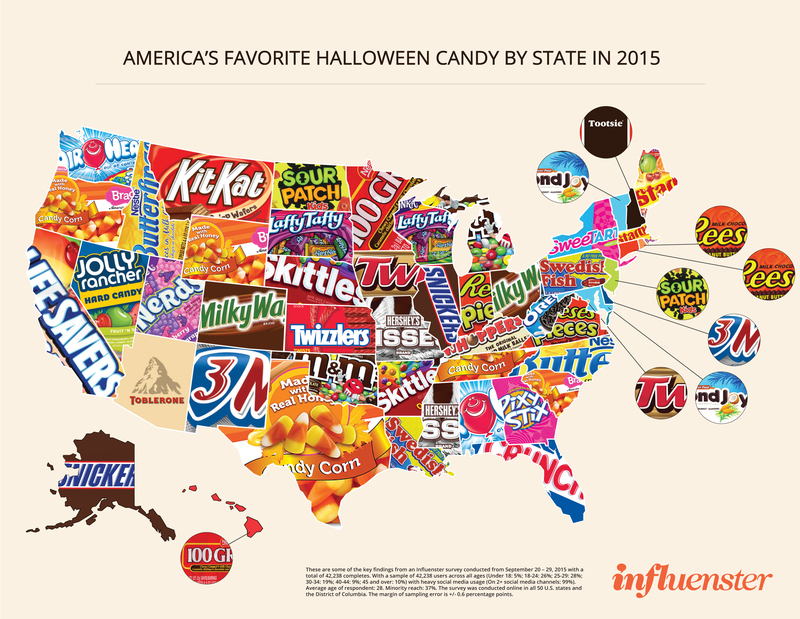 A new survey has revealed America’s favorite Halloween candy in each state across the country. Candy corn was the top pick for five states. Meanwhile, the Reese’s Peanut Butter Cup pulled in the highest number of votes. Here in Pennsylvania, its no surprise that our favorite Halloween candy is Swedish Fish. Can you guess which candy is your state’s favorite without looking? Or make you think a big time favorite is missing. Click here to see what candy reigns supreme in your state!